Latest version of OMSA differs from previous versions. Instead of the server hosting a web service on port 1311, OMSA now operates by a client-server basis, in which you will use a remote management system web service instead to access the management service on the XenServer. 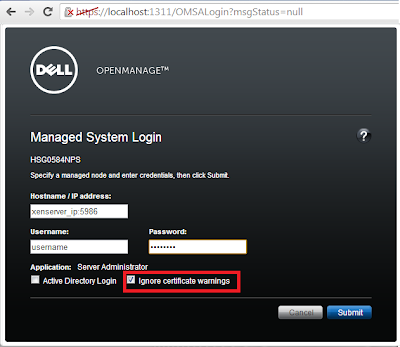 In other words, you will need to configure the server as well as a client. 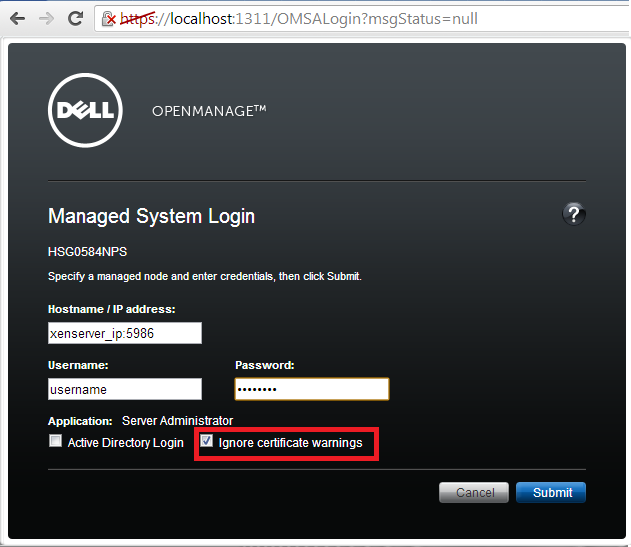 Below details the installation steps and how to remote manage your server. 6. Open up a browser and type in the address as below. – Hostname / IP address: Hostname or IP address of the XenServer in the format 'Hostname:5986', or 'IP address:5986', as shown below.